Per Theatermania.com, Debbie is going to auction off her collection. 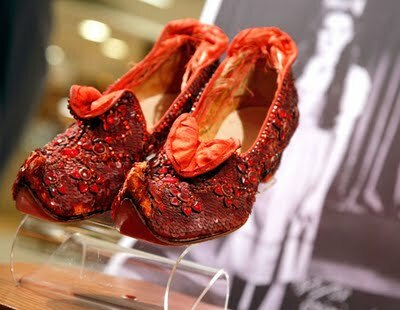 Including the “Arabian Nights” or “Elf” (and unused) Ruby Slippers. At least, she used to own that pair. I’m not 100% sure which pair she has at this point. I know she had a fake pair made that looked like the versions used in the film, to augment the “Arabian” pair. I’m sure more info will be released. The auction will be facilitated by Christie’s New York. Does anyone know WHY she is selling her collection? !